Jeff is a member of Chaosium’s Board of Directors and one important author in roleplaying games. Favorite roleplaying club: I’ve been gaming since the late 70s, and never actually belonged to a real roleplaying club. But David Dunham (King of Dragon Pass) and I had a wonderful gaming group that met every week for about ten years, called the Seattle Farmers Collective. Does that count? Favorite book: I tend to have favorites rather than favorite. So how about The Collected Fictions of Jorge Luis Borges. Or maybe Foucault’s Pendulum, by Umberto Eco. Or maybe Homer’s Iliad. Or maybe Egil’s Saga (which I ever so slightly prefer to Njal’s Saga). Or maybe The Histories of Herodotus. I also confess a great love for Lovecraft, Niven, and Howard. Favorite role-playing game: The magical rectangle of RuneQuest (2nd and 4th ed. ), Call of Cthulhu, HeroQuest, and King Arthur Pendragon. Favorite boardgame: Civilization. Or Diplomacy. Or Dragon Pass. Or if you want something done in the last twenty years, Agricola. Favorite wargame: Friedrich, Successors, or Empires at Arms. Juegos y Dados – Welcome Jeff, thank you so much for your collaboration. It is a big pleasure that you are here with us. Jeff – Thank you! It is my pleasure to be here. As long as this bit of the net remains, this moment of me will be eternally pleased to be here! Juegos y Dados – First of all, I would like tell you something that I told Sandy and Rick. I am doing a round of interviews of the most famous role-playing designers in Spain also. Would you like know that the question of favourite role-playing game until now is more than 80% in favour of your Call of Cthulhu? Jeff – That fills me with joy! But it isn’t too surprising – Cthulhu is an amazing game (one of my favorites) and the Spanish collector’s edition by Edge is possibly one of the most beautiful edition of Cthulhu ever done (although the recent version by Editions Sans-Detour is lovely as well, and our newest edition is also pretty darn lovely). Juegos y Dados – How did you begin in the world of role-playing games? 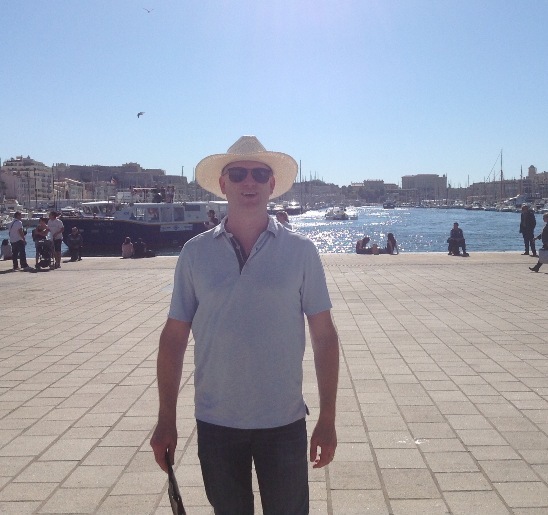 Jeff – I started back in the mid-1970s when I was in elementary school. Somebody’s older brother had some miniatures and a copy of Chainmail. We knew there was a game somewhere there, but couldn’t figure it out. Then someone bought a copy of Metamorphosis Alpha, and finally it clicked! There’s the game! Juegos y Dados – What was the first role-playing game that you played? Jeff – We started with games like Metamorphosis Alpha, Dungeons & Dragons, and Gamma World, but the first role-playing game we played was really RuneQuest. That was the first game where our characters were more than just level, hit points, and weapons – our characters belonged to cults, and spent more time trying to live in New Pavis than we ever did in the ruins of the Big Rubble. And then Cthulhu – we could play an “ordinary” person dealing with extraordinary events. Those games really were where I first experienced “role-playing.” There’s more to life than just killing orcs, don’t you know! Juegos y Dados – Have you ever been master of Runequest? I would like knowing funny moments in role-playing stories. Jeff – I’ve gamemastered and played hundreds of RuneQuest (mostly 2nd and 3rd edition). I’ve witnessed countless limbs being severed, but the high point has to be a long campaign with the Seattle Farmers (which incorporated some Pendragon rules) where the players played out nearly forty years of history, with feuds, love affairs, heroquests, and lots and lots of bloodshed. And tragic ducks. For whatever reason, I do love ducks as tragic comic relief. My usual approach to gaming is I set up the first main conflict (which is usually always a social conflict that defies easy solution). The players “solve” the conflict and then have to deal with the consequences. Trying to overcome the consequences creates new consequences, and in a few sessions we have the beginnings of a soap opera like a Norse saga or the Game of Thrones. After that the players actually do most of the hard work. Sprinkle in some cheap comedy, some deep themes and mythic resonance, and explore the fantastic setting, and you have an unforgettable RuneQuest campaign. Right now, our house campaign has three female and two male players. They are wandering around Dragon Pass and Prax in the service of Argrath White Bull – they’ve fought broo in the Devil’s Marsh, been to the Puzzle Canal, and all sorts of good stuff. In a recent adventure, they were helping some elves in the Garden against trolls and the hero-wannabe in the group, a bison-riding Sartarite warrior (she has a SIZ of 10 and CHA of 20!) decided she lacked the patience to keep shoot missiles and spells at the trolls and charged on her bison willy-nilly. The surprisingly fast troll hit her first and THUNK! she was incapacitated in her abdomen! Afterwards the player decided that her adventurer’s wounds were because her adventurer didn’t really have any beef with the trolls or any real loyalty to the elves and was fighting them only for coin – which she decided as dishonorable. So the next session, she convinced the other players that they needed to go to those trolls and make amends – which of course led to more adventure and ultimately enmity with the entire Unicorn Tribe of Prax. That’s one of the things I love about RuneQuest and Call of Cthulhu – violence is as deadly for the player characters as it is for their enemies. Nine times out of ten, caution, planning, and outside resources beats shooting first and asking questions later. You feel “real” – your characters are fragile and easily killed if you do stupid things. I was playing RuneQuest last year with Rob Heinsoo – he played a kickass Babeester Gor axe maiden who was easily the toughest warrior in the party. 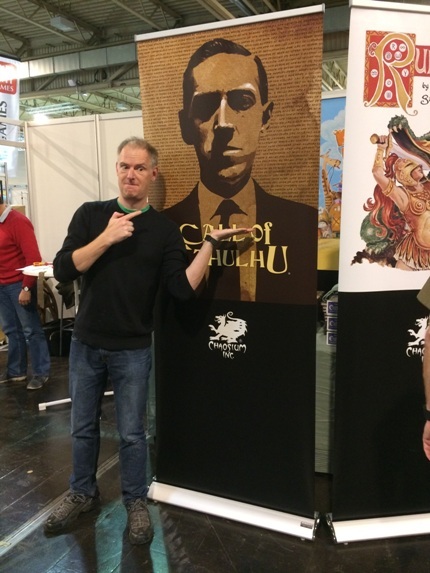 But Rob kept saying, “I’m far more scared playing RuneQuest than D&D – I might be tough, but a lucky strike to the head can still kill me.” That’s a big part of why RuneQuest and Call of Cthulhu feel “real” – and a big key to their popularity. Juegos y Dados – I suppose that you met some famous designers of that age. Could you explain any story? Jeff – Well obviously, I’ve known Greg and Sandy a long time. A bunch of other famous designers, including Steve Perrin (Mr. RuneQuest), Ken Rolston (Morrowind, Oblivion, RuneQuest 3, Bad Medicine for Dr. Drugs), Chris Klug (DragonQuest, James Bond 007), and Jason Durall (BRP, Conan) are all part of our development team, and it is simply amazing to be working with them! I worked with Rob Heinsoo D&D 4th edition, 13th Age) and Jonathan Tweet (D&D 3rd Edition, 13th Age) on 13th Age in Glorantha – again, incredible designers. 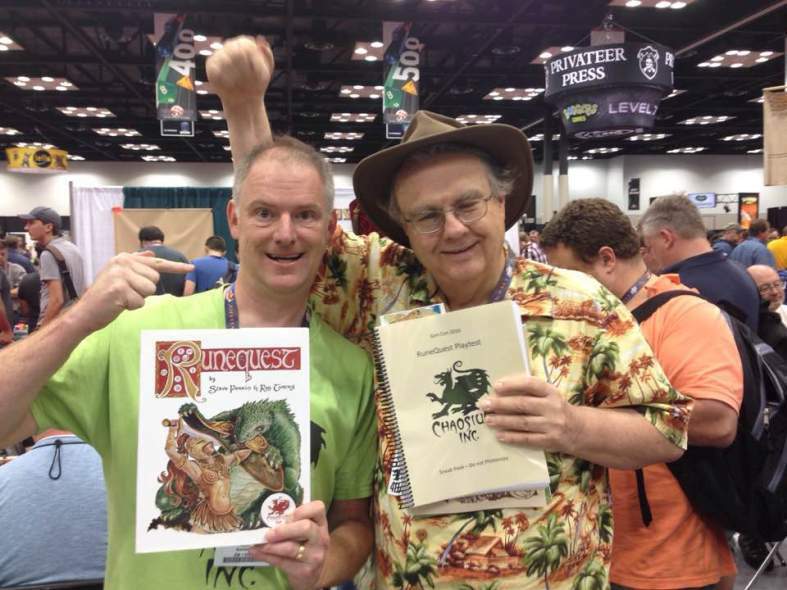 And of course Robin Laws and I wrote HeroQuest 2nd edition. Did you know that Jonathan’s first published scenario was for RuneQuest 3rd edition? Someone I’ve known for years, but have never had the chance to work with is Frank Mentzer (D&D). 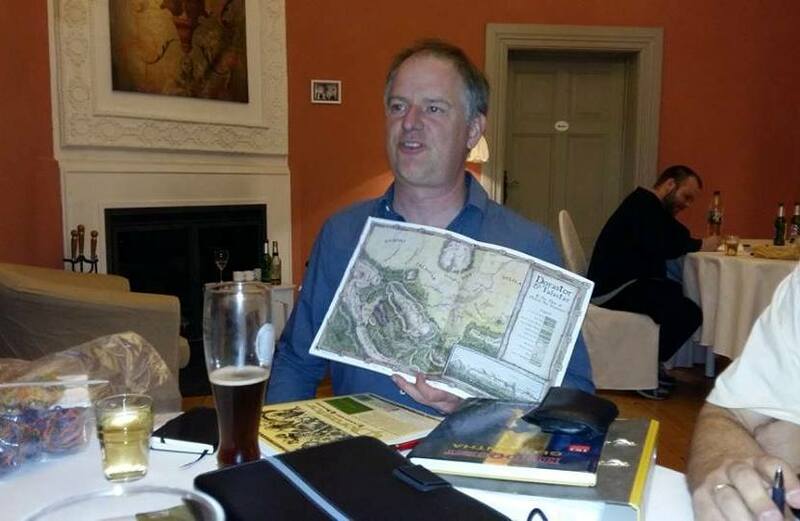 I’d love to get Frank to do an Old School RuneQuest scenario – and maybe it will happen sometime. Another unsung titan of the classic era is Mark Morrison (Horror on the Orient Express, and more Cthulhu and Chaosium material than you can shake a stick at) – I’d love to work with him on some new material at some point. It is a wonderful thing about the Chaosium creative community – we have active writers going back to the infancy of gaming, whose advice and insight is as relevant now as it was 30+ years ago. There is no “Old School”/”New School” division here – we want all our stuff to hold up as well in 30 years as RuneQuest and Cthulhu. Juegos y Dados – We interviewed Sandy Petersen and Greg Stafford months ago and Rick Meints recently. They are nice people. Could you explain us any fun story? More than nice people – amazing people and wonderful friends. 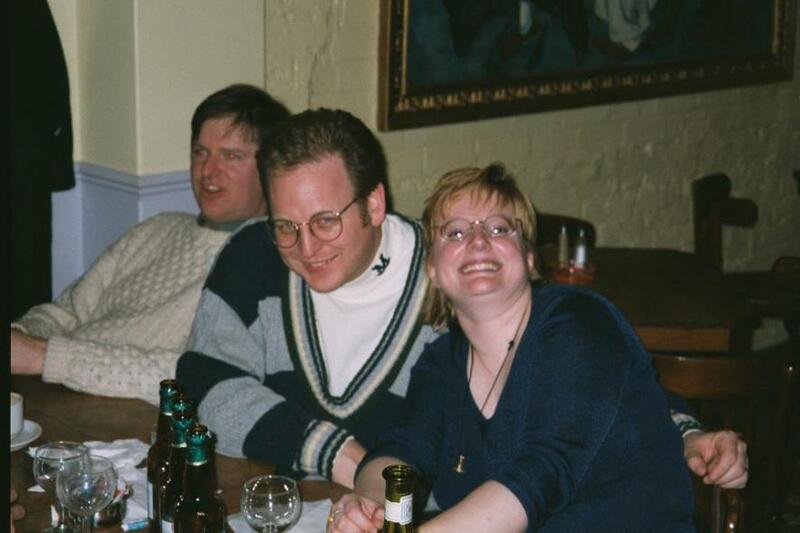 Greg introduced me to my wife many years ago and Sandy still reminds me that he’s known her longer than I have. And Rick’s been a close friend of mine for decades (I first met Rick in a hotel suite with a bathtub full of Guinness – I’ll let him explain the story sometime). We are scattered on multiple continents but we all meet up at least once a year (at GenCon). When working off old notes of Greg – some are over 30 years old – I’m constantly struck at how visionary a writer he is – and how well he can tie deep mythic themes together with mundane normal concerns. Greg’s also a great gamer. A bunch of years back, Greg and I were playing in one of Sandy’s games – we played two stoner ski instructors – low INT, high POW (and high SAN). The other characters were playing more sensible investigators and started figuring out the mystery. But when one of the characters started ranting about Great Old Ones from outer space, Greg and I decided that we needed to lock that character in the basement – he was clearly crazy! If I recall, we died soon after, killed by the machinations of some Great Old One from outer space. 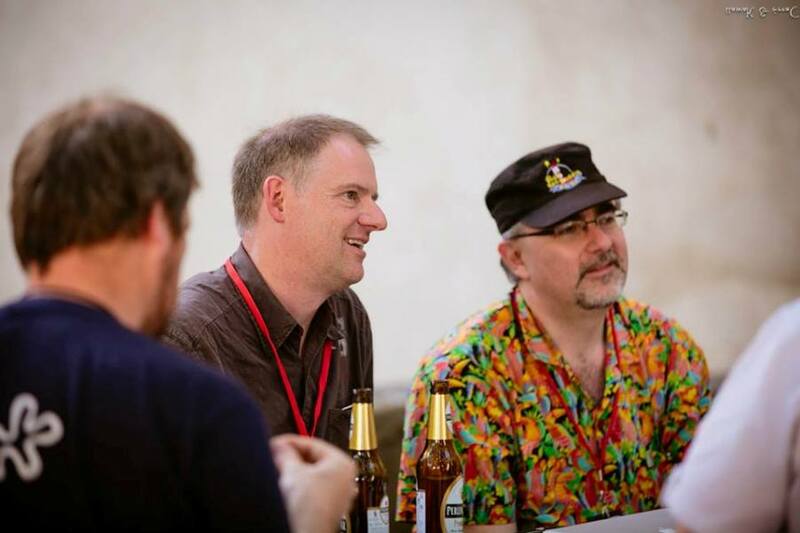 Juegos y Dados – What did you feel when you formally became Vice President and Creative Director of Chaosium? 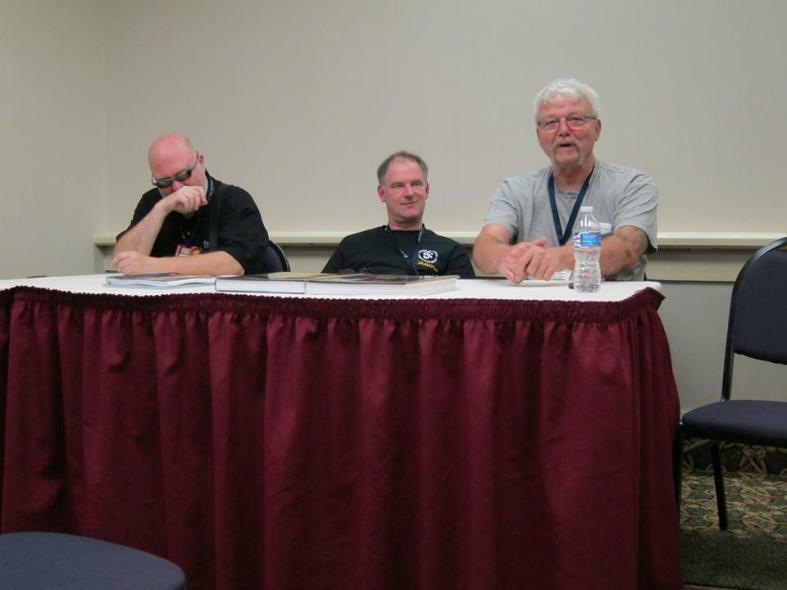 Jeff – Obviously I was pretty excited, although we all knew that we had some big work ahead of us to get Chaosium to where we wanted it to be. Pulp Cthulhu and the Two-Headed Serpent are the first books that we really got to weigh in with, and I’m extremely proud of the work that Mike Mason and Nick Nicario did to get those books to sing. One of the first things I did was go back and reread the full Chaosium corpus of game systems – not just RuneQuest and Cthulhu, but Ringworld, Superworld, ElfQuest, Stormbringer, Elric, Nephilim, King Arthur Pendragon, and Ghostbusters. These games were all part of a milieu – and all were communicating with each other in some fashion. That’s part of their creative richness – and something I wanted to make sure we kept with the new Chaosium. I also went back and replayed the old Chaosium board games – again not just Dragon Pass and Nomad Gods, but games like Raiders and Traders and Lords of the Middle Sea. I’m not big into nostalgia – but I am a big believer in continuity. You’ve got to be familiar and comfortable with you past in order to keep that spirit alive. We want our new product to have that same “lightning in a bottle” spirit as the old classic material. An analogy is how Johnny Cash kept creating artistically cutting edge and popular material for fifty years. The guy singing on the American Recordings is the same artist as on Johnny Cash With His Hot and Blue Guitar – and you can tell it from those songs – but the Man Comes Around is not just trading on Folsom Prison Blues. Both are classics, separated by 45 years. That’s our creative goal at Chaosium – to continue produce great material that will be seen as classics by future generations (and still sell well now). Juegos y Dados – You have different kind of games in Chaosium. Do you have any favorite game? Jeff – That’s like asking which of my kids is my favorite! I love HeroQuest, I love Call of Cthulhu, I love RuneQuest, I love 13th Age in Glorantha. But they hit different notes for me – HeroQuest is when I want rules lite games that feel like a story; RuneQuest is when I want to feel concrete and “real” while I explore the mythic fantasy of Glorantha; Cthulhu is when I want to lose my sanity investigating Things Man Should Not Know; and 13th Age is when I just want charge in like a hero, fight the monsters, and save the world. All of these games are “favorites” – heck, I don’t want to ever publish anything that I can’t call a favorite. I want to make sure I *LOVE* what we create, so that you know that the game has integrity. I mean, if I don’t love it, if we aren’t brimming with enthusiasm over it, why should you want it? The game I have gamemastered the most is RuneQuest. But I think I’ve been a player the most in Call of Cthulhu. In Cthulhu, I love having characters that run with the crazy ideas of the Mythos – my favorite (and longest lasting) Cthulhu character was a new associate professor of Oriental Languages at Miskatonic University. He was at least as concerned about getting tenure and surviving the anti-Semiticism prevalent in New England academic circles in the 1920s (brilliant Prof. Dessau was a practicing Orthodox Jew), as he was in doing detective work with the other characters. In fact, most of the time he persuaded the other characters to do all the dangerous work without him and to bring him books, carvings, photographs, etc., – with which his paper on Deciphering the Ponape Glyphs managed to get him tenure. He managed to get his Cthulhu Mythos skill up to about 45% and even knew several spells (his favorite was Perceive Text which he figured was a sort of mystical gematria or temurah) – by the time the campaign finished up, Prof. Dessau was already well-advanced in his death spiral towards becoming an insane villain. Juegos y Dados – What is your favorite system of RPG? Jeff – My favorite system is the broad family of games we call Basic Roleplaying – RuneQuest, Call of Cthulhu, Ringworld, Stormbringer, Nephilim, etc. The rules are a bit different for each setting, but the core concepts are always there. Jeff – I play regularly. Our house game is about every other week, and I am running RuneQuest and something else. Right now the something else is Ringworld – which I love science geekiness of. Every year we do a week long gaming retreat where we play RPGs and boardgames. I don’t get to play much at conventions any more, except at the Kraken and Chimeriades (two wonderful conventions here in Europe). Juegos y Dados – You are going to publish The Guide to Glorantha, a roleplaying game supplement not written for any particular role-playing game rules system, written by Greg Stafford, Sandy Petersen and you. Could you tell us what differences there are to the editions that have come before? Jeff – Well the Guide to Glorantha is its own thing – an illustrated encyclopedia of a fictional world. I initially put it together so that people who wanted to explore Glorantha could have a reference book instead of trying to glean stuff out of long out of print books and articles (or wade through esoteric forum threads). What we ended up creating was a work of art – an amazing exploration of an incredibly deep fantasy setting. Unlike most fantasy settings, Glorantha really is its own thing (in my opinion only Tekumel comes close). It isn’t “medieval Europe with orcs and a church with gods instead of one god” – it owes more to Gilgamesh and The Iliad than it does to Middle Earth. The myths and cults define the setting, and not (as is usually done) the other way around. It is like an alternate universe where Prof. Campbell – and not Prof. Tolkien – was the father of fantasy. Juegos y Dados – Rick Meints said “The Guide to Glorantha is unique in the world of roleplaying games. It has fifty years of Greg Stafford, thirty years of Sandy Peterson, and the passing of the torch to Jeff Richard.” What do you think about this? Jeff – Rick is entirely too kind about me. I was standing on the shoulders of titans. But the Guide is definitely unique. Thousands of people have bough a giant two-volume, oversized encyclopedia of Glorantha – a book too big to put on your book shelf! And not a handful of people, but thousands! That’s really remarkable and testament to Greg’s creation. Juegos y Dados – Do you think publishing any new role-playing or board game in the future? Jeff – Definitely! Besides the four pillars of Call of Cthulhu, RuneQuest, HeroQuest, and 13th Age in Glorantha, we have lots of projects in the work. Michael O’Brien is getting Credo ready for a launch later this year – this is an updated version of a remarkable game about the Late Roman Empire, the Nicene Creed, and backstabbing your fellow bishop. Chris Klug is working on a completely updated version of Dragon Pass (I’ve delayed him by recruiting him onto the RuneQuest team). We’ve got Mythic Iceland sitting in the wings. I’d very much love to work with Larry Niven to relaunch Ringworld. We’ve got a mythic Old West game in development (one that plays with the themes and symbols of the Old West), and I’m very interested in doing a reinvention of Nephilim that owes as much to David Bowie as it does to Baigent, Lincoln, and Leigh. And we plan to push the creative envelope with our established lines as well. 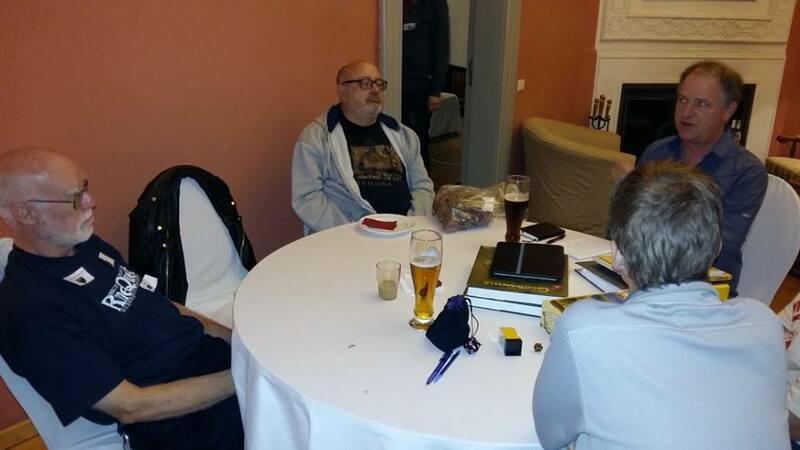 Juegos y Dados – Is there anything else you would like to tell fans of Chaosium? 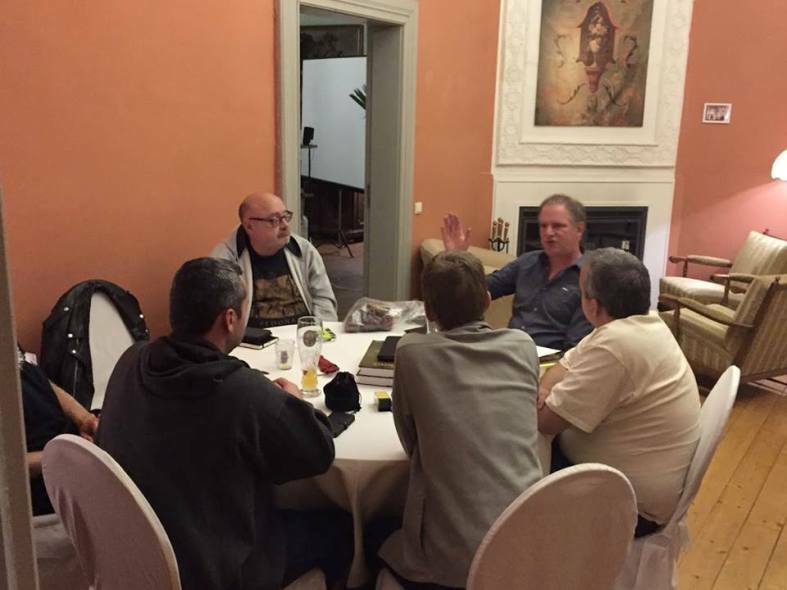 Jeff – We are witnessing the new dawn of Chaosium – a literal renaissance! Just keep watching and we hope to amaze and delight our fans! Jeff – It was my pleasure! Thank you for the opportunity! Buenas compañero, muchas gracias por tu visita. ¡Me alegra que te haya gustado la entrevista! Gracias a ti por leerla. ¡Un saludo!